Established in 2008, Sway Bar are the Gold Coast's leading and most experienced Pilates, Barre and low impact fitness experts. 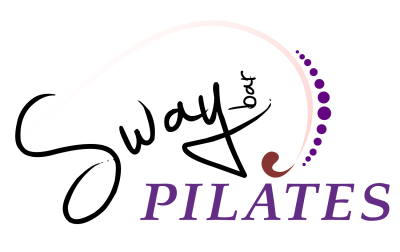 Calais has achieved a Diploma in Professional Pilates Teaching. She is a certified Pilates and TRX instructor and an experienced Pole Dancing Instructor. Principal and Studio Owner. Senior teacher, Certified BASI Pilates Comprehensive, Booty Barre and TRX instructor. Over 15 years of experience. Elouise is a senior teacher and holds BASI Pilates Comprehensive Teacher, Booty Barre and TRX Instructor certifications. Lisa is a full time Physiotherapist and star teacher for Sway Bar. Lisa holds BASI Pilates Comprehensive Teaching and Booty Barre Instructor certifications. 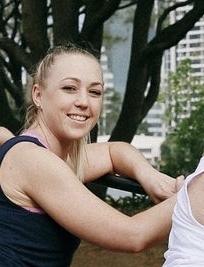 Andrea has completed studies with the Australian Physiotherapy Pilates institute and is a qualified TRX instructor. Andrea is studying a Doctorate of Physiotherapy at Bond. A qualified PT, Meg is has completed a Sway Bar teachers traineeship and is a certified Pilates Mat, Reformer, TRX and Booty Barre teacher. Meet Wilmarie our internationally certified and experienced Yoga teacher. Paul is the Sway Bar booking and client servicing manager. If you need anything, talk to Paul. Stacey has completed her Sway Bar Traineeship and is a certified Pilates Mat, Reformer and TRX instructor.